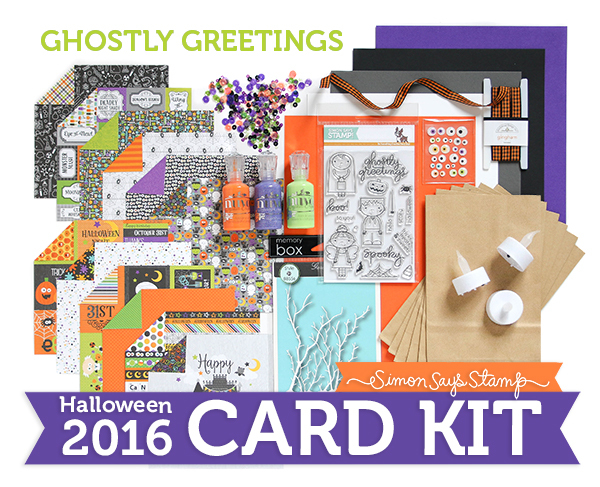 Simon Says Stamp has awesome cards kit each month but this one is a special edition and not part of the regular subscription. 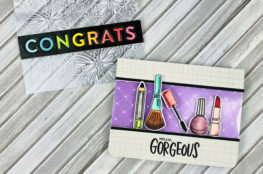 I love that this kit includes non card making items as well! I stamped the images on to THIS tag cut from THIS cardstock using THIS ink. 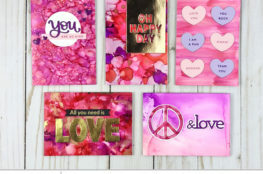 I heat embossed them using clear embossing powder to make the images and create barriers when I added THESE watercolors. I added the googly eyes in the kit to the images for a playful look…. I applied THIS and THIS distress ink on to a piece of THIS cardstock and placed it behind a panel that I die-cut using THIS birch tree die. I sprayed some of THIS on top for some shine and added some of the enamel eyes behind the trees to give a spooky feel. 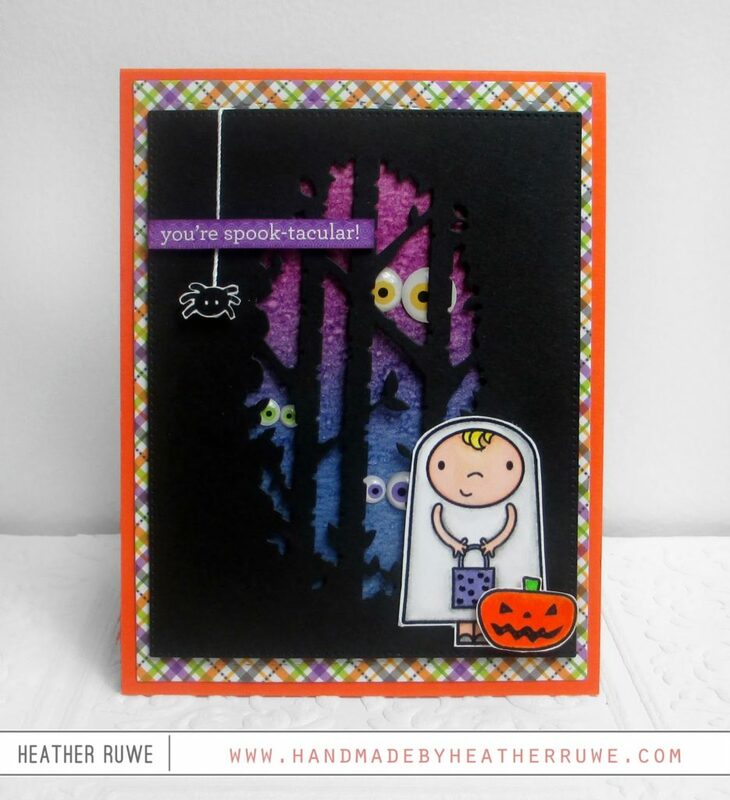 I added watercolor to the images and finished off the card with a spider and sentiment that was cut from the patterned papers. 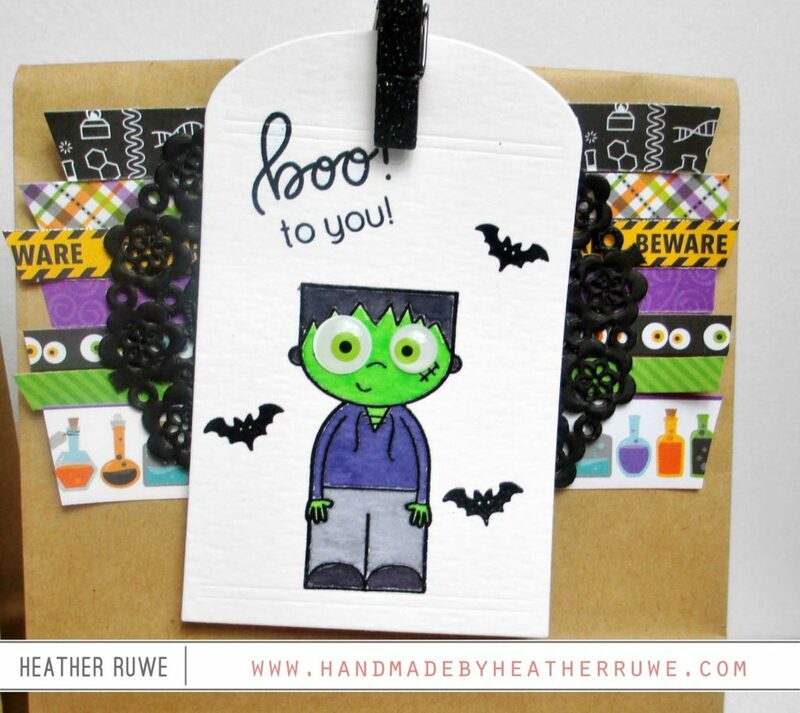 There’s lots more inspiration to see using this kit. Click HERE for the next stop on the hop and visit Heather Hoffman. Click HERE to start at the beginning of the hop. P.S. 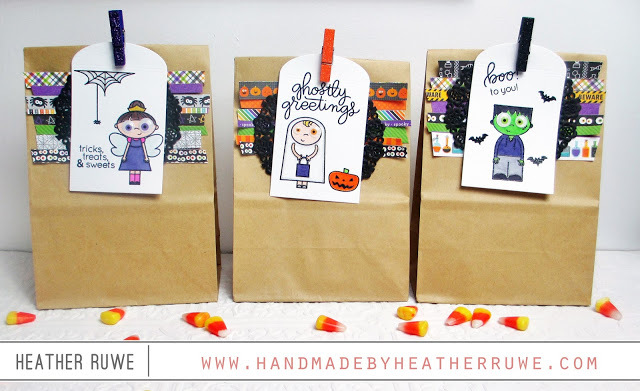 Have you heard about Simon Says Stamp Dream Craft Room Giveaway. Click HERE for all the information and your chance to win! 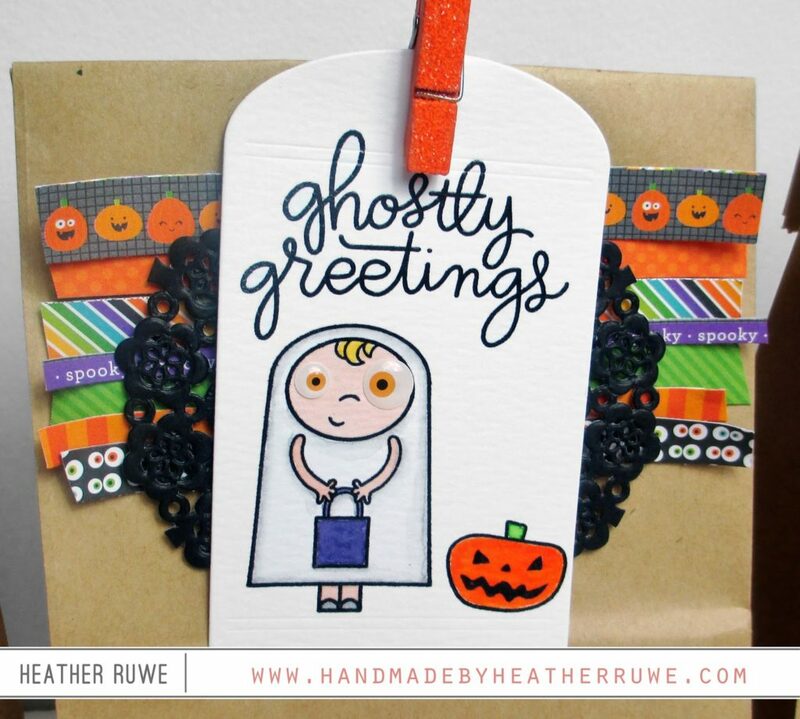 That last card is equal parts beautiful and spooky. Great bags, love the eyes! 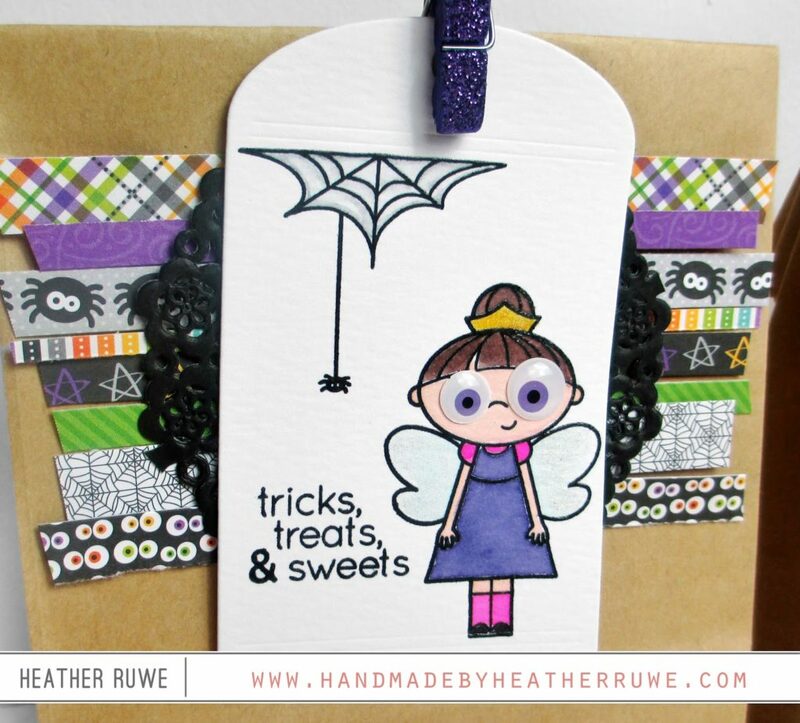 Such fun tags for the cute treat bags, and delightful card! Love the fun googlie eyes!